Description: The intricate diagonal cut of the glass stone in this piece makes an exquisitely unique piece. This stone collects and reflects different amounts of light in various parts creating different shades of her own olive color simultaneously. Gorgeous and inspiring statement piece. 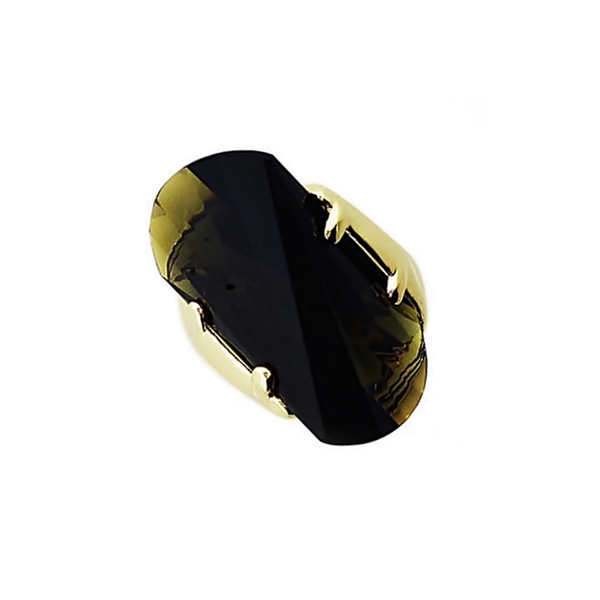 Material and Measurements: 14K Gold Plated Base Metal, Wave Cut Glass Stone - Focal Point 1" X 1"
Enter Quantity for R-AE048-YG to add to your shopping cart.